Happy Friday! From selfies to sausages and everything else in between, cheers to the weekend and the Weekly Wins! Why do people have a love-hate relationships with selfies? Are insurance companies using data to be innovative, or invasive? 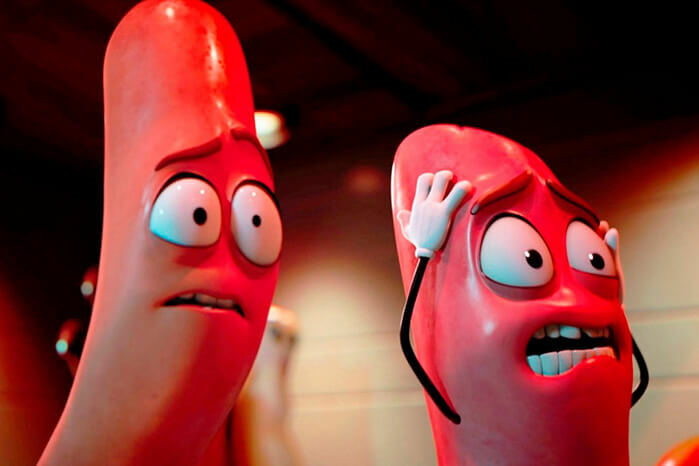 And what’s up with screaming sausages? The answer to these questions and more digital goodness below. Everybody takes selfies! From the popularity of mid 2000’s flip-phone mirror pics, to today’s smartphones that all come with a front facing camera, selfies are a big part of our lives. According to a recent survey, 63 percent of Americans say they take selfies. The other 37 percent? They’re clearly lying. While most people take selfies, the majority of them also have negative feelings towards selfies. Many people associate selfies with negative traits like “annoying” or “narcissistic.” Why the disconnect? According to a communications professor who studies the relationship between selfies and narcissism, this happens because of “self-serving bias.” Basically, when we take selfies of ourselves, we understand the circumstances and intention behind the photo. But when others do it, we have a harder time accepting it and instead are more judgemental. So, taking a selfie of yourself is a-okay, but when other people do it, it’s annoying. It doesn’t get much more narcissistic than that. When it comes to satirical news, the titles are often written in a way that makes it obvious that it’s not real news. But sometimes, you come across an article title that makes you think it’s satire, only to find out it’s not. It’s real life. Then you enter an existential crisis about the state of humanity and how Black Mirror is pretty much non-fiction at this point and– I digress. Check out this article for yourself. Sounds like a joke, right? It’s not. A life insurance company has announced that it will be selling “interactive policies” that allow customers to share their fitness data in exchange for discounts. The policies allow you to choose what data to share, from your daily step count, to your calorie intake, to your blood pressure measurements and beyond, so they can access your coverage. Man, Sting should be their spokesperson. Four for you, Amazon! You go, Amazon! Today, buying a product often requires checking in with thousands of strangers first. But do we even trust them? 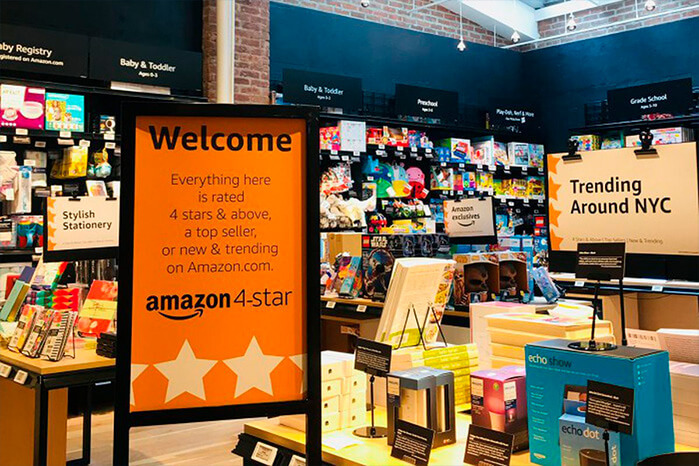 Do you trust 4 guiding stars to lead you down the purchasing path? Well, Amazon thinks you should. If you want a store that only sells the best of the best, or the most popular items then pop over to New York City’s Soho neighbourhood. People must really care about ratings for them to open an actual brick-and-mortar store! If you haven’t already heard of it, ‘The Shed’ used this exact same thinking. It was a restaurant that became Trip Advisors No.1 South London restaurant without even existing! Smart move, Amazon. This is the internet we signed up for. When there are no words, there’s a screaming sausage video. 🙈 According to a Mashable article, these screaming little porkies and franks have been viewed 527,000 times and that’s just one of many videos. If you’re searching for a sizzling 5 minutes of fame, grab some sausages, heat up a frying pan, set up your camera, and upload your sausage screaming video to the crazy and probably salivating audience of the online world. 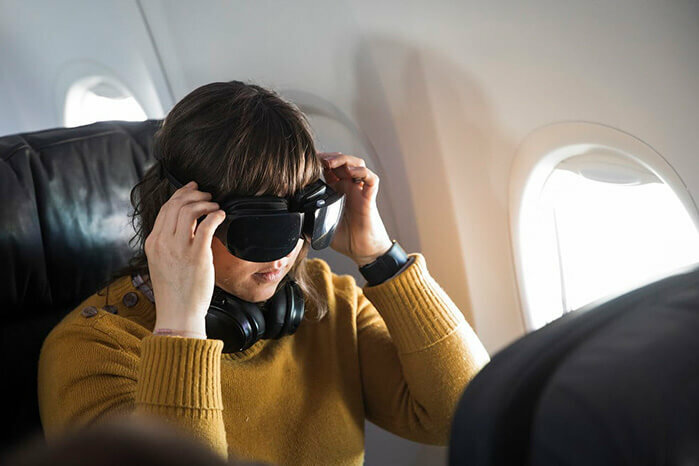 Virtual reality’s purpose is to enhance our ‘realities,’ and the airline industry is utilizing this new tech to take people out of the tight, cramped, and sometimes-smelly cabins. Digital Trends, says that In-flight entertainment could soon feel like relaxing in a movie theatre, thanks to VR. And it became a reality on Monday, September 24 on Alaska Airlines. The experience will offer a headset and noise-cancelling headphones to first-class passengers on board the trial flights only. They will show 2D and 3D movies as well as 360 videos. To jump onboard this experience, you’ll need to be on any of the ten flights between Boston and Seattle as well as flights between Boston and San Diego. Could this use of VR actually help iron-out the comfort issues we’re having with the HMDs? Let’s fly and find out!